All Aptitude topics are available here with complete aptitude questions and answers for SSC, Bank and Other Competitive exams. Aspirants who are searching for the aptitude questions can easily practice here with all the important aptitude topics related to aptitude. This blog contains updated aptitude topics and having selective aptitude questions with answers for the competitive exams. 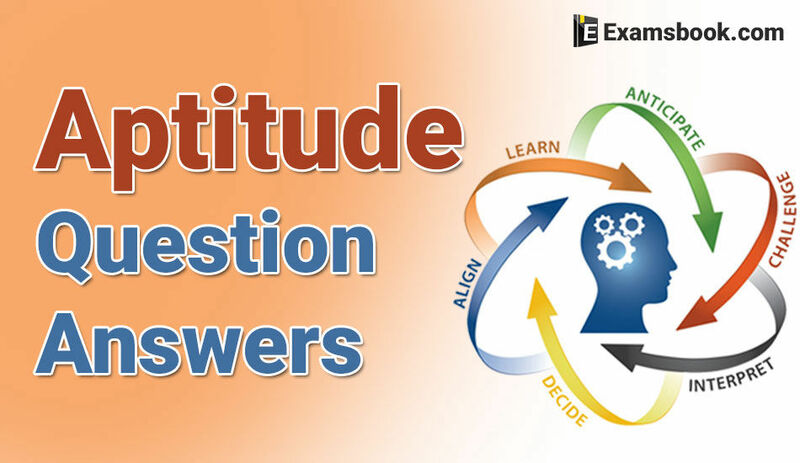 Lets practice aptitude question for sure success in SSC and banking exams. 3. If the day before yesterday was Thursday, when will Sunday be? 4. If 3rd December 2000 was Sunday, what day was 3rd January 2001? Q.6The average of 12 results is 15, and the average of the first two is 14. What is the average of rest? Q.7 A father can do a job as fast as his two sons working together. If one son does the job in 3 hours and the other in 6 hours, how many hours does it take the father to do the job? Q.8 A sum of money sufficient to pay A’s wages for 21 days and B’s wages for 28 days. The same money is sufficient to pay the wages of both for……. If you have any query related aptitude questions and answers, you can ask me in the comment section. To more practice of aptitude questions and answers visit next page.